Living Happy | Inside Out! How Can I Get Happier in Life? - How Can I Get Happier in Life? 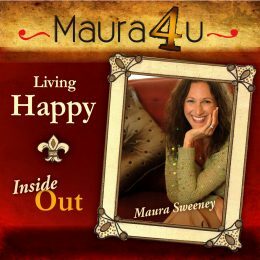 Maura Sweeney Podcast 087: What Are You Teaching? You don’t need to hold the title of school teacher to realize that you are teaching others all the time! If you recall the old adage, “Actions speak louder than words,” then you will enjoy what follows. This podcast takes a look at the disconnections that often show up between the words we speak and the hidden motives and behaviors we actually display. While we may not recognize our own disconnections, others do and often take note. Regardless of our occupation or stature in life, we are always conveying lessons. Conversely, we are picking up lessons from others as well. Listen in and find out whether what you’re teaching others is truly something you want to convey. As you do, realize just how powerful and positive an influence your life can be on those around you. May you grow in self-awareness and personal empowerment as you consider the topic. Then, listen to Leann Penna share with us from the American Farm School in Thessaloniki, Greece about what makes her happy from the inside out.